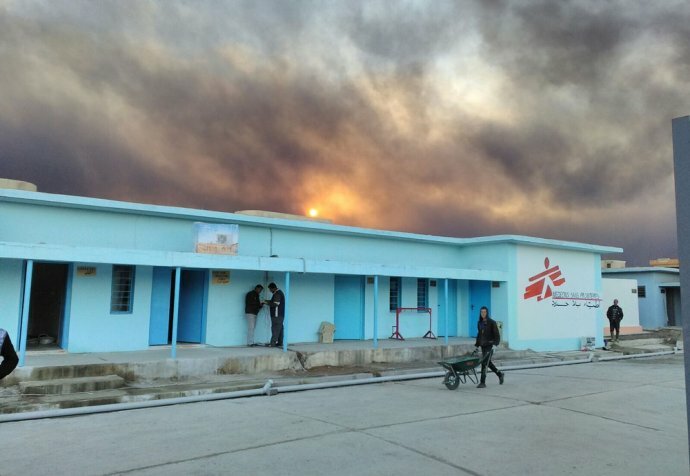 On February 19, Médecins Sans Frontières opened a field trauma hospital with surgical capacity in a village to the south of Mosul. 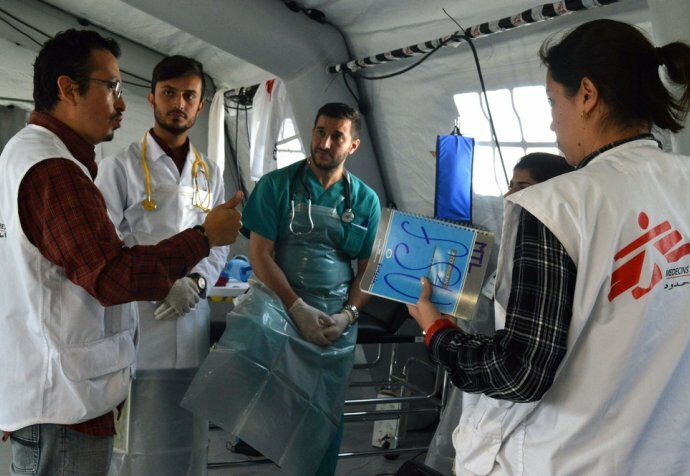 The team is composed primarily of Iraqi surgeons, doctors and nurses. Below are two testimonies from Médecins Sans Frontières surgeons working in the field trauma centre. “I’ve been through many other wars; Syria, Liberia, Angola, Cambodia, but I’ve never seen something like this. In the operating theatre every case we receive is severe and almost every day we have to deal with mass casualties. Our patients can be of any age, any gender and suffering from any sort of war wound: sniper attack, mortar shelling, airstrike, landmine, and other explosions. They are all putting their life at risk to flee a city under siege. When weather conditions are good we receive huge influxes of wounded men, women and children. When it’s cloudy or rainy we receive less people. Now, we look at weather forecast to best prepare ourselves and to anticipate mass casualties. "Our patients can be of any age, any gender and suffering from any sort of war wound: sniper attack, mortar shelling, airstrike, landmine, and other explosions"
“Yesterday morning we received a family of four: a mother, a father and their two small boys. They had all been wounded by a mortar grenade. The mother and father arrived dead so we worked around the clock on the two brothers. But the head wound of the smallest boy was too severe so he passed away and we only managed to save the nine-year-old. I wonder how he could survive and how he will survive. From his whole family, he is the only one left. Then, yesterday afternoon we received another boy, this time a ten-year-old. He arrived with his left leg almost amputated by a mortar shelling. We went straight into the operating theatre but he lost a lot of blood on the way to our hospital. For two hours we did orthopaedic surgery, then my colleague did a laparotomy for another hour but during the night he died. "We try to do everything we can, but sometimes it’s not enough"